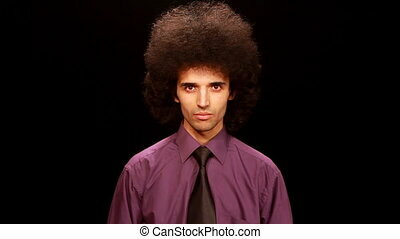 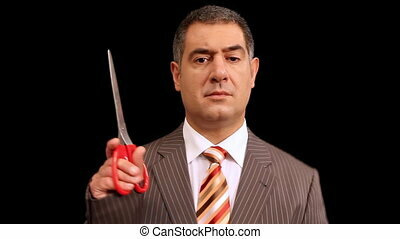 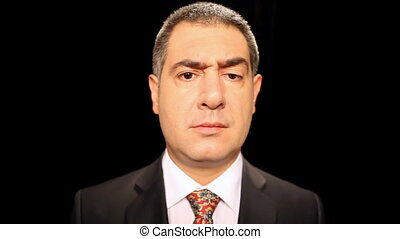 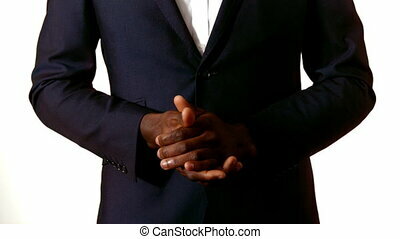 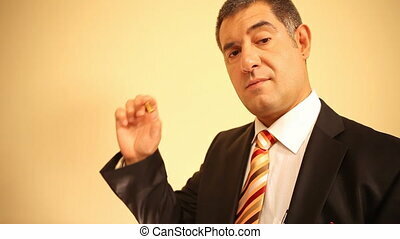 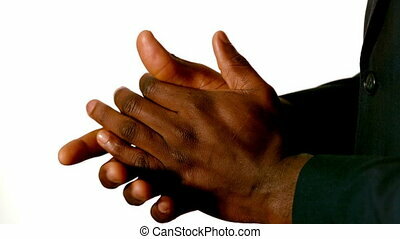 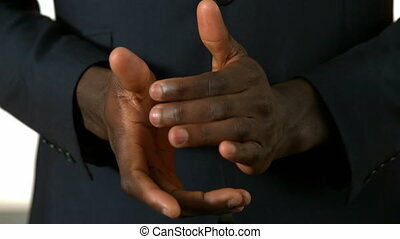 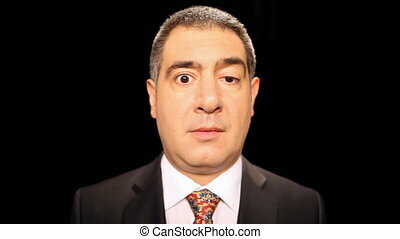 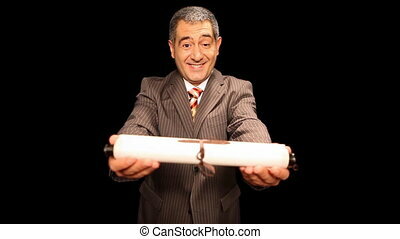 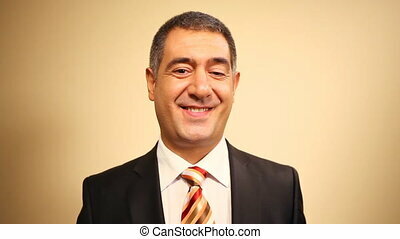 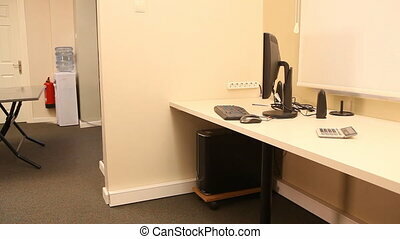 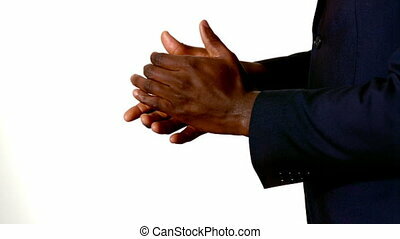 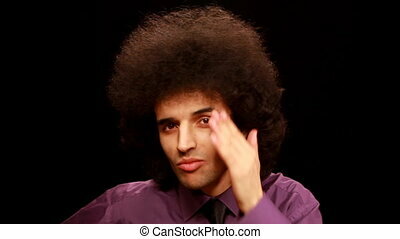 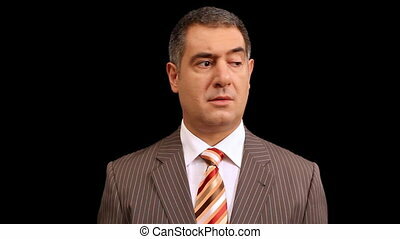 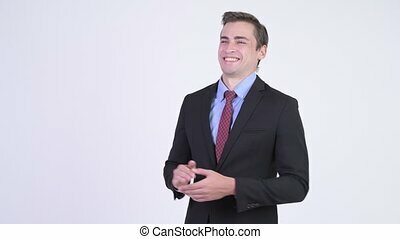 Businessman clapping hands. 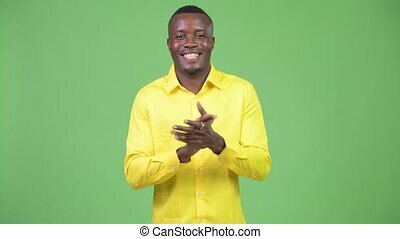 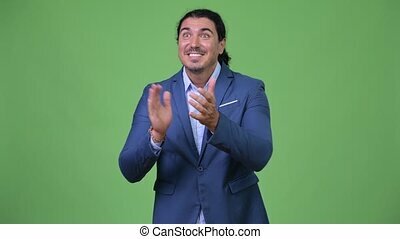 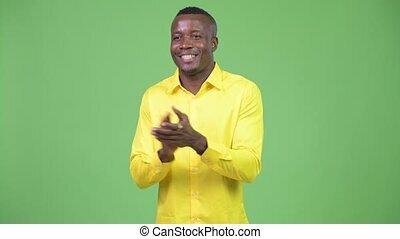 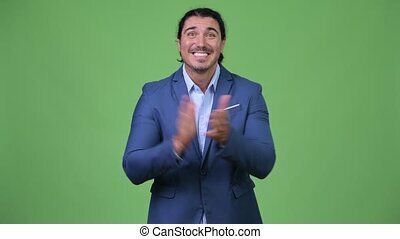 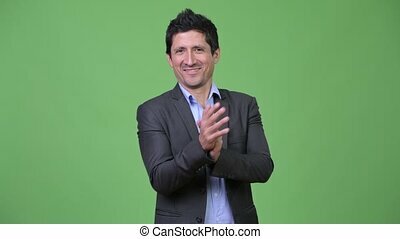 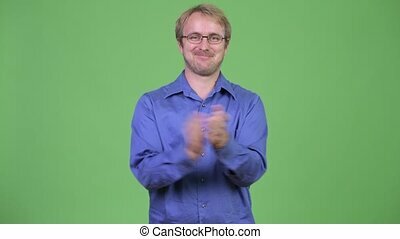 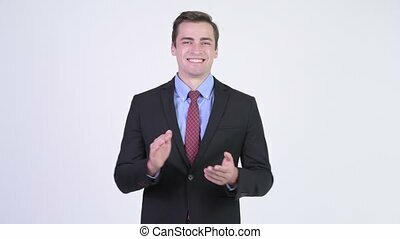 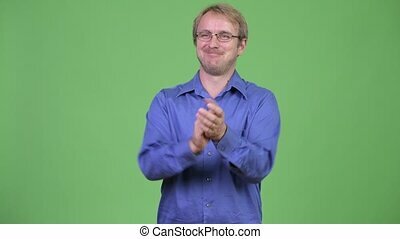 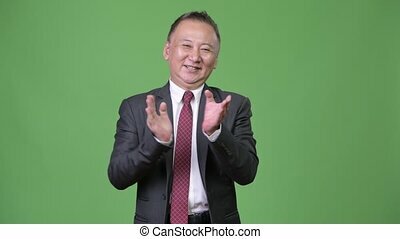 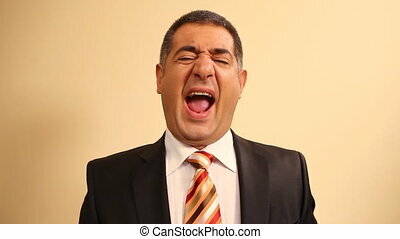 Cheerful businessman clapping hands - business - success. 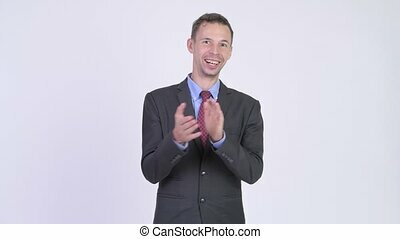 Young woman delighted and happy, clapping hands - Blurred - Dreamy - Background. 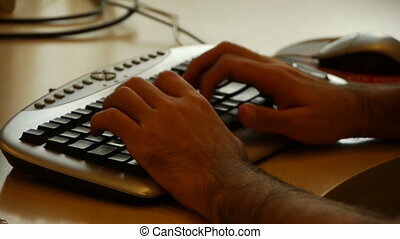 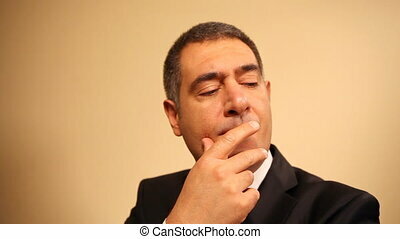 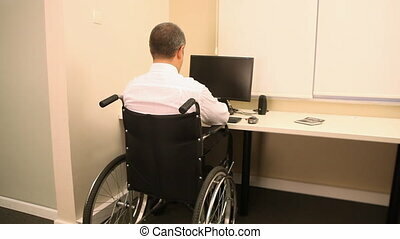 Arabic businessman uses keyboard with hairy hands.